Quality Printing Limited was founded by Joseph Yu in 1991. He is Managing Director and personally oversees the operation of the firm. Joseph Yu has over 45 years experience in the printing industry. He is recognised by his peers as a leader in the Hong Kong printing industry. After graduating from the Salesian's Printing School, he worked in a variety of roles in the printing industry from 1964 to 1978. Joseph then took a senior management role at the Caritas Printing Training Centre where he was general manager from 1978 to 1991. In 1983, Joseph Yu founded the Graphic Arts Association of Hong Kong (GAAHK). He was Chairman for eight years and continues to be an active contributor to the GAAHK as Honorary Chairman. In 2005, Joseph Yu was honoured as the Honorary Fellow of the Institute of Print-Media Professionals by the board members. In 2007, Joseph Yu was appointed by the Hong Kong Council for Accreditation of Academic and Vocational Qualifications as a Sector / Subject Specialist. 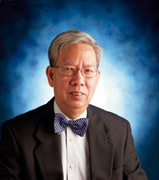 In 2012, Joseph Yu was awarded as the Fellow of the Asian College of Knowledge Management. Vivian graduated from Northeast Normal University as Bachelor of Arts. She joined Quality Printing Limited in 2017 as Marketing Director. She is an Executive Committee Member of Graphic Arts Association of Hong Kong. Ann went to high school in Canada and later graduated as Bachelor of Economic from Carleton University. She joined Quality Printing Limited in 2000 as is Financial Controller and Production Supervisor.